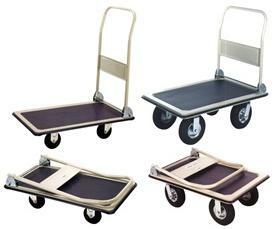 Steel Folding Handle Trucks | David's Inc.
Casters are 2 swivel, 2 rigid. Fold down handle for easy, space saving storage. Protective vinyl perimeter bumpers won't scratch walls or furniture. 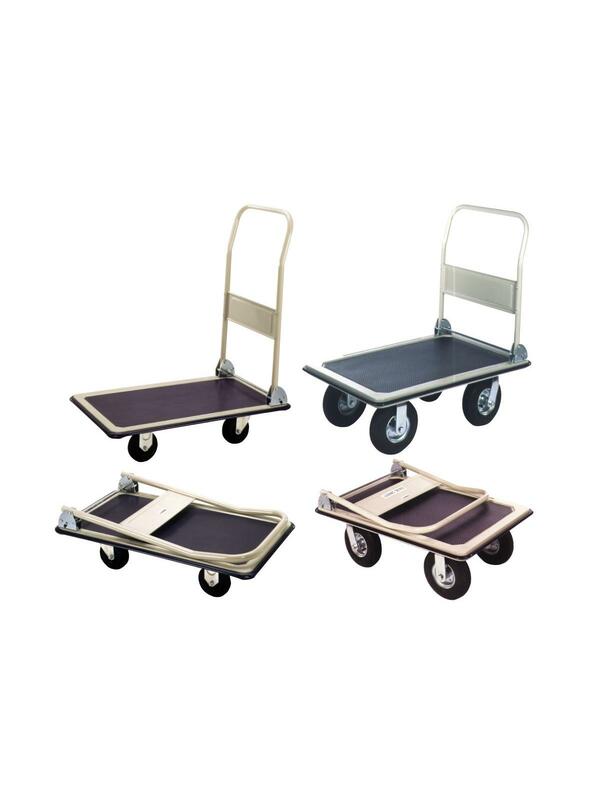 Non-skid heavy vinyl deck surface. Enameled finish. FOB Shipping Point. Steel and aluminum surcharges may apply.